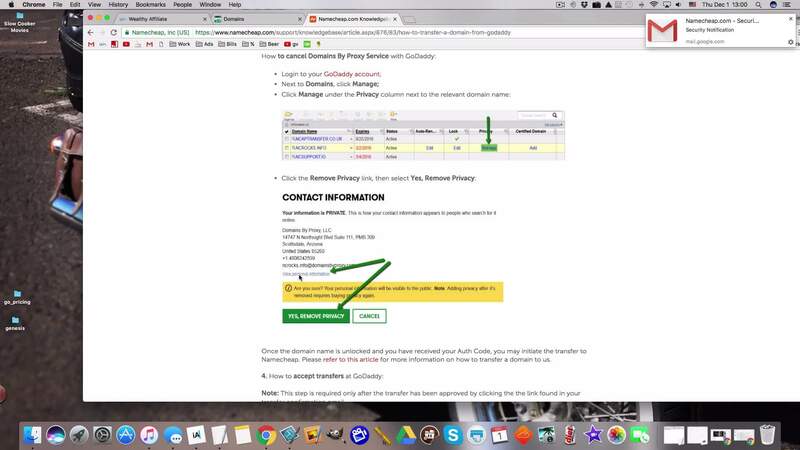 *After you click "add domain" in Wealthy Affiliate, you need to click "Start Transfer". *I forgot to mention that if you transfer a domain to Wealthy Affiliate you'll need to register it for one year HERE. This is standard when moving to any registrar. Here's what the email looks like, and the page where you agree to start the transfer look like. I followed the steps in the tutorial, but after a few minutes, the status in WA says that its Canceled because the domain is locked at the current registrar or is not yet 60 days old? The domain is unlocked, and it's 60 days old. I already paid for the transfer process. Please help! Have you tried SiteRubix support? I have had to contact them a couple times and they have been quick! Thanks for the response James! Well I want to transfer www . worldofgeeks . de from WA to GoDaddy. Does it mean I have to pay $14 extra when I host it via WA? Yes thats right...it maybe more or less. But yes the hosting fee youve paid at GoDaddy doesn't transfer. But its worth transfering regardless. If you plan on building a number of sites having access from one dashboard makes life easy. you can always point the nameservers here and when your site is up for renewal then transfer it - to transfer a site you get charged a year- this is added to the life of your domain so you don't lose anything, but to not get charged just change the nameservers. We're going to be transferring a domain that was purchased with GoDaddy but is being hosted by Wix. I'm wondering if the process is similar to what you have shown here in your video. I will search here within the community for further info on this. Great lesson! Is there a cost to transfer it here? Is that what the agreement is about? There is no cost for transfer to WA. Nathaniell, this is the second comment from me as this is making the transfer process so easy. It took me about 15 minutes to have my second domain transferred from GoDaddy. I will transfer one more this month. Just wanted to tell you how helpful the video you made is. I am really thankful for it! That sounds great, thanks for the advice. And can you tell me where and how to log a ticket for the support team for my request? Thanks. I have a domain wiht GoDaddy which I just renewed earlier this year for 2 years, but my website host is Blue Host. If I point this domain to WA server for free, can I enjoy the free protection from WA for this domain? And How can I move my website host from Blue Host to WA, so I can save a monthly update fee with them? You will get all the free protection that goes with the hosting service, such as anti-spam, malware, virus, and hacking intrusion protection. Plus you can enable free SSL through SitePlus. In addition, you will be enable to turn on the new fast speed loading feature. 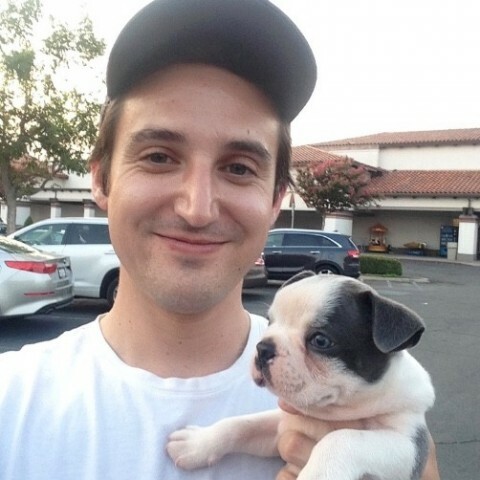 So you are hosting with Bluehost right now but since you have a website already with them you'd have to actually move the website if you wanted the WA hosting - that is done either with the plugin WP Clone or you can talk to site support about all this - that would be best, talk to site support! Hello, The video is awesome! 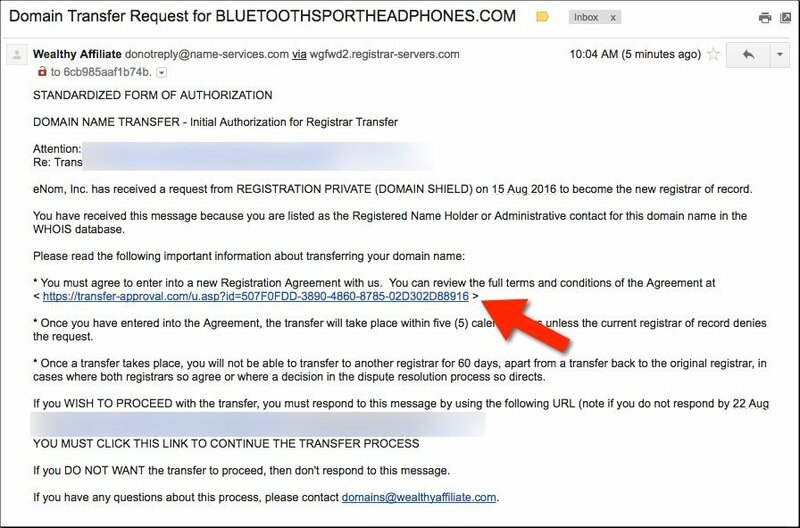 I did contact Godaddy and their support did only tell me to contact WA to initiate the transfer process. I did just asked for the transfer code. The representative did not explain how to get it as you did :).. I just have to wait now. I did only plan to transfer this domain, but when they do like that I will transfer all of the ones I have there instead. As I think this is better in the long run as you pointed out above. Thanks brother, I'm in the process of transferring out most if not all my domains from Godaddy. Some of them are still hosted with Godaddy, if this is the case and I want to move the hosting, is there an easy process for that? I haven't really seen an easy tutorial on this yet. It's nice to know that you've committed to SiteRubix Nathaniell. Seems like there are still many here at WA who use other hosts for their sites, and I don't think it's because they have been avoiding the domain transfer process. Your training makes the transfer pretty simple. We will soon have the SSL feature activated and I expect additional upgrades to SiteRubix going into 2017. 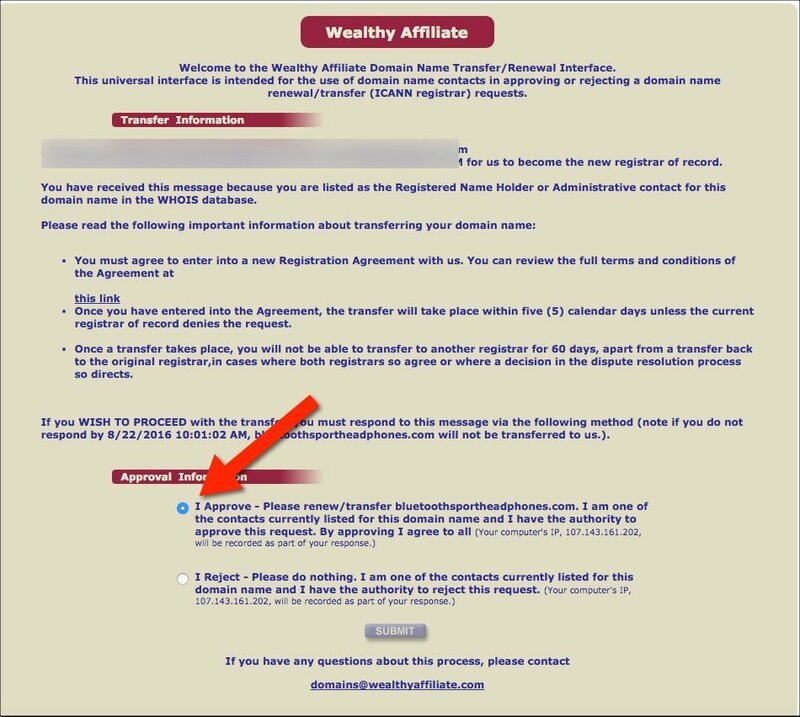 Is there any problem with keeping the same email addresses you have with another registrar when moving to Wealthy Affiliate? I am not worried about loosing the emails themselves, I have all of them on my computer. I just want to keep the same email addresses when I move the registrar over and create it through Wealthy Affiliate. Check out this. WA Hosting Email When you move hosting you have to reset up the emails generally. Technically you can host your email client at one company and your website at another, but that requires editing the DNS records and paying in two places. Unless you have a good reason to, such as wanting to us G Suite for your email, then I suggest keeping things in the same place. That is what I want to do, host the email here at WA when I transfer the domain registration. Can I create the same email address or do I have to create a DIFFERENT address? Will the WA platform tell me that the jim@speakhousaudio.com address is not available and force me to use a different one? Oh yeah. You can totally create the same email. Without getting to technical, basically what happens is the settings attached to your domain tell other servers where to go looking for your website, email, etc. When you move your domain, the new settings will tell servers to come to WA for the email instead of your old server. So anything you did over there won't have any affect on what you do here. I've transferred a lot of domains in my time, but not to WA. So, everything I mentioned above should happen automatically when you transfer your domain, but you may want to contact site support to confirm. Just to add here, yes, you can keep the same email, but every registrar is different. Godaddy an Namecheap make you pay for email, or they offer the option to do one "redirect" email for each domain. Once you come to WA just make the same email address and all your emails will be delivered properly. I checked the rules. Product Rants are allowed. :) So let me say to anyone that may come see this trainging, as someone who not only develops his own websites and those for clients, run from GoDaddy like they are the plague. I've had clients get hacked through GoDaddy's servers. The way they setup their hosting makes getting anything done take forever, and it will slow down your site hurting your SEO rankings. And if you're not going to host there, why would you keep your domain there. Keep everything in one place. Ya, this training marked my last time working with Godaddy. The last domain I left on there is set to expire next week. hello sir , i bought a godaddy domain about 15 days back , i am using it now , its live now with a few posts . I think since it is not covered the 60 days duration . I tried to tranfer to WA , they denied it. is there any option to do t before 60 days ?